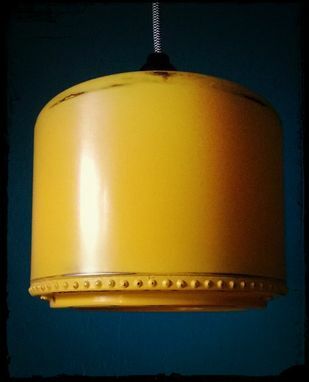 This re-purposed pendant lamp will be perfect to place above your kitchen, table, home office, or wherever you'd like to place it. 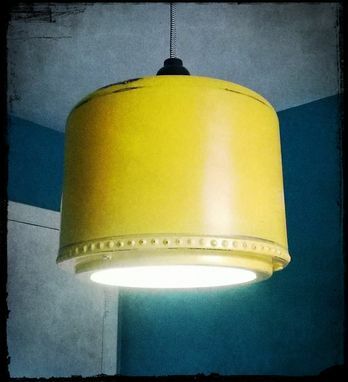 This hanging lamp will be assembled from scratch using a reclaimed ceiling fan motor housing and hardware to make a beautiful piece of minimalist decor. The lamp includes over 8 feet of cloth covered cable with a feed through switch and a strain relief for a swag light installation. It will measure about 8.5" in diameter by 6.5" tall. 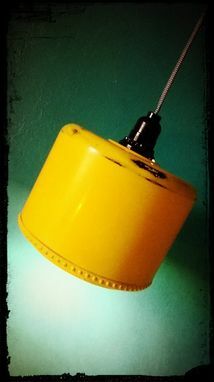 The lamp will be painted and hand distressed entirely by me using a technique employed in the automotive industry in a color of your choosing when possible. All the sanding and polishing is made by hand to give it that unique look. 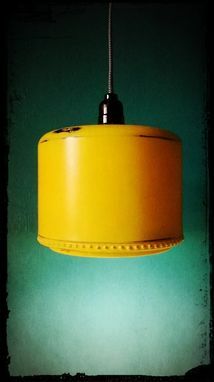 Any imperfections present on the lamp are inherent to the handmade nature of this re-purposed pendant light. 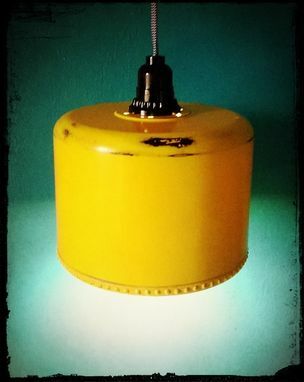 Custom orders for this or other lamps are always welcome, if you are looking for something special, I will work with you to find your perfect light. *Pictures included in the listing have been enhanced for illustrative purposes, for untouched pictures of the light, please visit my FB page.